How does a job with a car that you can drive home, flexible working hours and a monthly salary of up to $20,000 sound? Too good to be true? Probably because the job scope is not legal and involves delivery contraband cigarettes across the border. Stomper Shai, who was offered the work, said it all started when she responded to a job listing on Facebook last week. 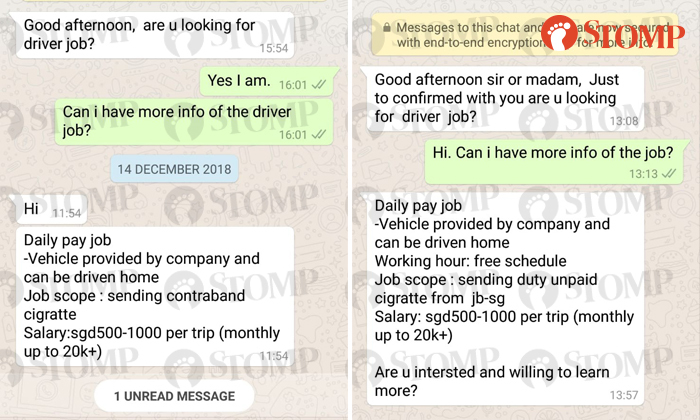 She told Stomp: "It posted about a high-paying Class 3 driver job." She received messages on Dec 14 from not one but two numbers, who revealed more about what was required of her for the "daily pay" job. One of them was a Malaysia number, while the other was a local number. Shai said: "I believe both are the same person. The texts that they sent me were almost identical. 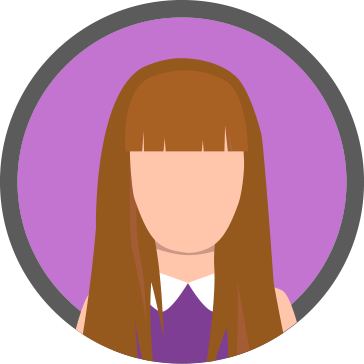 "I feel that they are very daring to do this and manipulate job seekers. "I hope the authorities can do something about it."